The study was conducted between 2012 and 2013. The researchers reviewed death certificates as of September 2016 to learn how many participants had died. At the beginning of the study, most participants were in their late 70s and most were considered overweight according to BMI standards (a ratio comparing height to weight). Nearly 30 percent were considered obese. After examining the deaths in the women according to their activity levels, the researchers learned that older women with higher levels of physical activity were less likely to die than women with lower levels of physical activity, no matter the cause of death. The researchers concluded that their findings support encouraging older women to increase the amount of time they spend every day in light-intensity activity, and reduce the amount of time spent sitting. 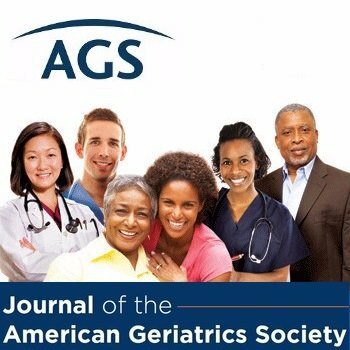 This summary is from “Accelerometer-Measured Physical Activity and Mortality in Women Aged 63 to 99.” It appears online ahead of print in the Journal of the American Geriatrics Society. The study authors are Michael J. LaMonte, PhD, MPH; David M. Buchner, MD, MPH; Eileen Rillamas-Sun, PhD; Chongzhi Di, PhD; Kelley R. Evenson, PhD, MS; John Bellettiere, PhD, MPH; Cora E. Lewis, MD, MSPH; I-Min Lee, MD, ScD; Lesly F. Tinker, PhD; Rebecca Seguin, PhD; Oleg Zaslovsky, PhD; Charles B. Eaton, MD, MS; Marcia L. Stefanick, PhD; and Andrea Z. LaCroix, PhD, MPH. This entry was posted in Health in Aging, JAGS Research Summaries, Prevention and tagged physical activity, prevention by HIA Guest Blog. Bookmark the permalink.